The One Year Bible makes reading through the Bible achievable with daily readings from the Old Testament, New Testament, Psalms, and Proverbs and is today?s #1-selling daily reading Bible. The One Year Bible divides the entire text of the New International Version into 365 sections, so you can read through the entire Bible in one unforgettable year?in as little as 15 minutes a day. 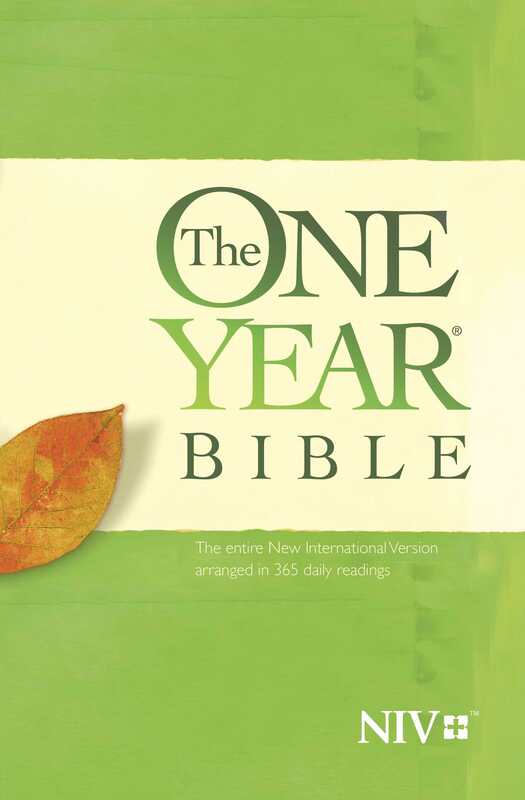 NIV The One Year Bible: Paperback by Tyndale House was published by Tyndale House Publishers, Inc. in January 2015 and is our 3700th best seller. The ISBN for NIV The One Year Bible: Paperback is 9781414359915. Be the first to review NIV The One Year Bible: Paperback! Got a question? No problem! Just click here to ask us about NIV The One Year Bible: Paperback.